It’s been just over five months since we moved to Paris, and thus, it’s been just over five months since The Girl last rode her bike. Due to a issue with the frame near the rear derailleur hanger attachment point during shipping over here, she wasn’t able to attach either the derailleur or the rear wheel. Since then we’ve been playing international volleyball with Trek trying to get it resolved. Thankfully, this past Tuesday the bike came in to the local Trek shop (Bikes in Paris, who are now officially rock stars), and we were able to pick it up later in the week after they swapped out all the components on our her old bike onto the new frame. While at the bike shop, they were able to assist me with a bigger vice. 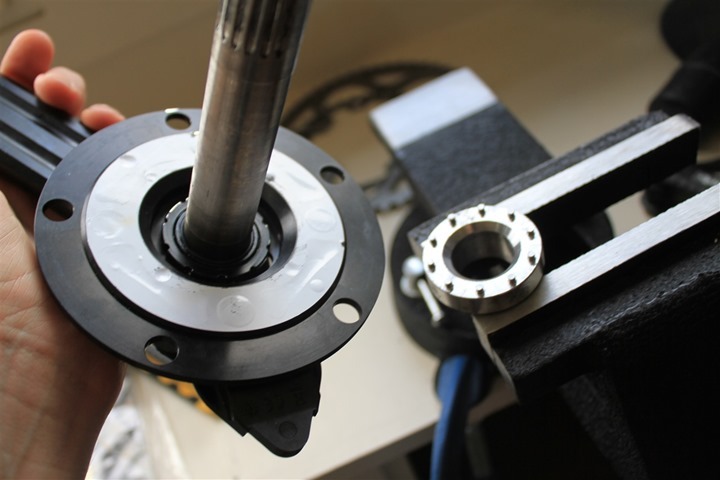 No, not the kind of vice that involves ice cream or chocolate, but rather, an actual vise. See, my little vice below has been unable to remove the older Power2Max unit from the crank, thus I’ve been unable to put on the new Power2Max which includes temperature compensation to address drift issues – as well as estimated left/right power. Because my vise couldn’t be bolted into our apartment (and I lack any other surface to bolt to), it was so tightly coupled that when I applied pressure to remove the crank it would remove the whole vise. Thankfully, the bike shop guys had a vise that was bolted to a massive bench, and with a wee bit of force (ok, a lot of force), they got the thing removed. Happy dance time! 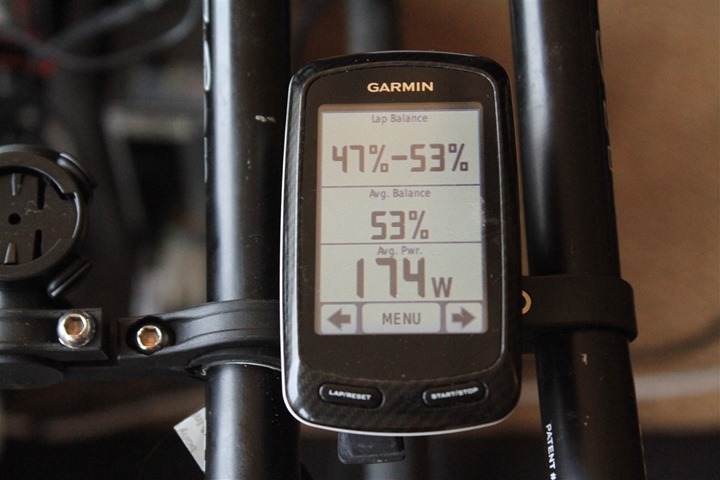 Since Thursday with the unit on the bike I’ve been riding and comparing constantly against both other power meters as well as trainers. And of course, I’ve been looking at the estimated left/right numbers. Numbers which albeit even the Power2Max guys to me at Eurobike admitted are highly susceptible to being skewed. The left/right estimates are simply splitting your stroke in half and assuming that the upstroke is fully left powered, and the downstroke fully right powered. In any case, it doesn’t affect total power, which is what I’m interested in evaluating in this case (specifically, the drift aspect). Because I’m very familiar with the unit already, I’m looking to gather the data I need over the next week and publish the review fairly soon. In the meantime, here’s The Queue gallery of it. Moving on from power meters, we’ll go to Friday morning and a bit of snow. Our first snow in Paris. Now, I actually set an alarm for 5AM, hoping to get some good photos of snow coming down. Instead, I looked out into the darkness and saw nothing but rain from the sky, and puddles of water on the ground. No snow in sight. Giving up on it, I went back to bed. 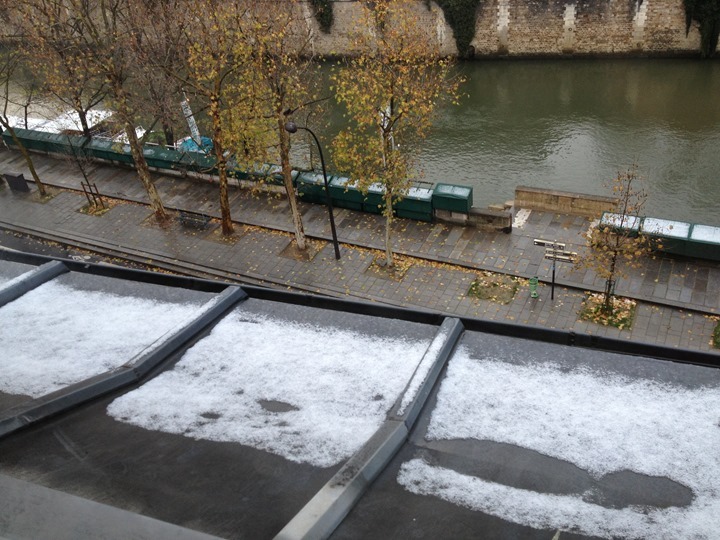 When The Girl headed out for the day though, turns out – there was a little bit of snow. Just enough to cover non-concrete surfaces, so my photo below is all I’ve got saw far of the white stuff. Regrettably, it didn’t stay around long, and certainly not enough to make a snowman out of, or even so much of a snowball. So, lacking my hope for spending a weekend in the snow, I spent Saturday working away on trainer reviews. Lots.of.trainer.reviews. While doing that, I published up a bunch of photos into The Queue (which, btw, you can also get via RSS feed here – though, since it’s gallery based you’ll want to think of this more like a queue alert). As part of my weekend fiesta I was working through as many scenarios as possible, trying to figure out where the gaps and stumbling blocks were of each product. Even though many of these units are designed to be entertaining, sometimes I just need a bit of a distraction from it all while data collection occurs. This time I had Mythbusters on, and ironically, it included a segment on whether or not you could bicycle underwater. Anyway, I thought it made for a funny shot. 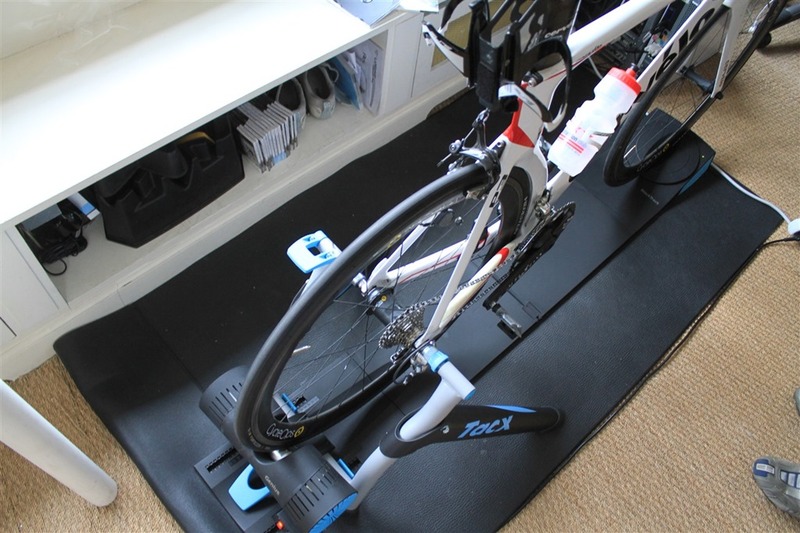 I also spent more time with the Tacx Genius VR trainer. 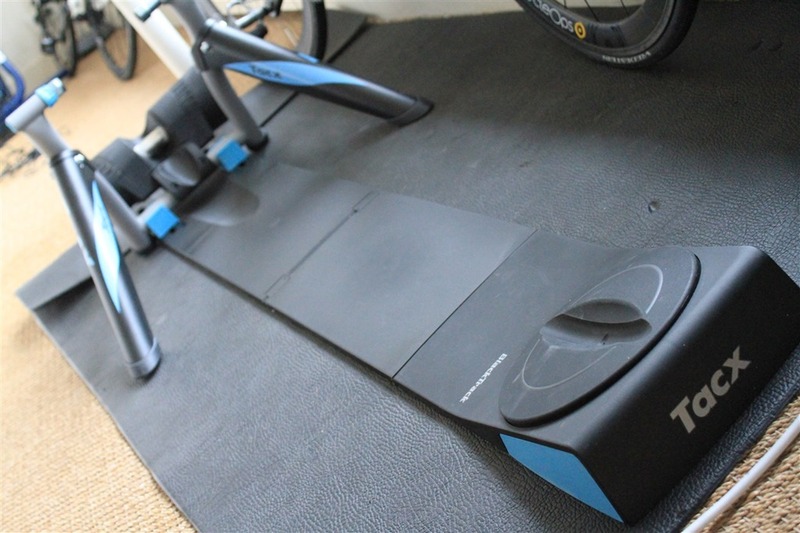 This is from the same company that has the Tacx Bushido unit already in the market, which I’ve previously reviewed. From a software side, they share the same software suite – though when I last reviewed the Bushido it was on an older version of their TTS (Tacx Trainer Suite). Now, I’m on version 4.4, which includes more polishing and a bunch of new functionality. This trainer is unique in that it features a steering device. You can see this in the photo below, it’s the long plate that’s sitting atop the trainer mat. The front wheel sits on that little circle part you see below, and the back of the trainer is locked into a track at the rear. 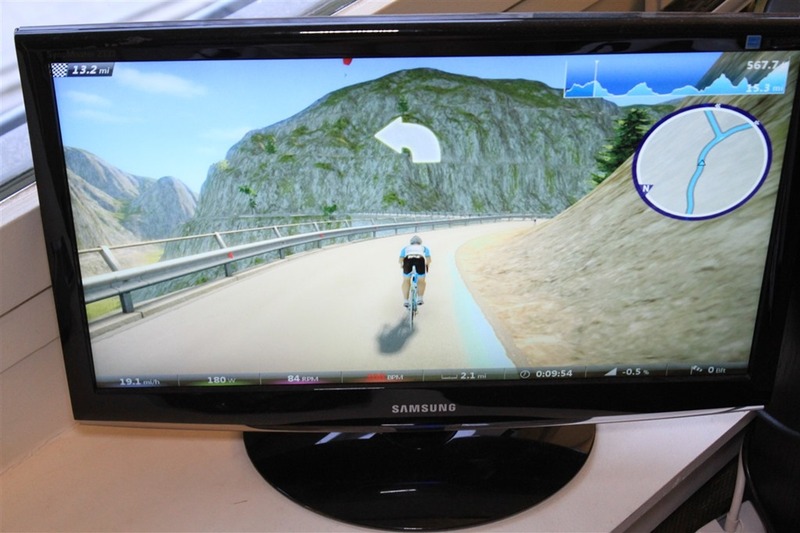 That little circle communicates via ANT wirelessly to the computer, and when you turn your wheel, it in turn steers your bike. Well, you’re virtual bike anyway. You can see this below while in the Virtual Reality mode, where I’m being prompted to control the direction of the rider. When I turn left, the cyclist moves left. The only challenge I have with this, is that in the most current release if I do nothing (don’t steer), I just keep on riding in the middle of the road. It essentially takes care of the turns for me. Thus, it devalues the purpose of the steering unit in favor of making it ‘easier’. Of course, in other modes it has more value, but I’m not sure I get the concept for VR mode. You can see the full gallery of Tacx Genius photos in my Queue Gallery from Sunday. I had received the most recent near-final production unit of the Mio Alpha optical HR watch, with this particular variant being Bluetooth Smart enabled. I ended up pairing it with the Wahoo Fitness app as a receiver (since, well, there’s no other device-options). 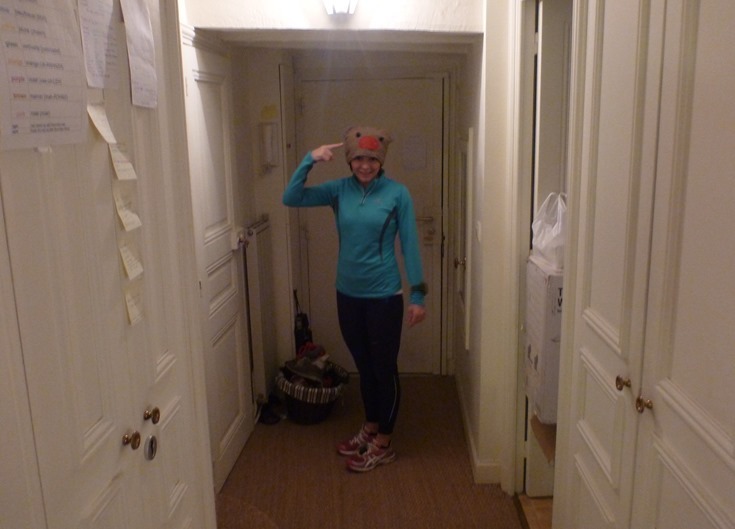 From there, off we went running along the banks of the river Seine. 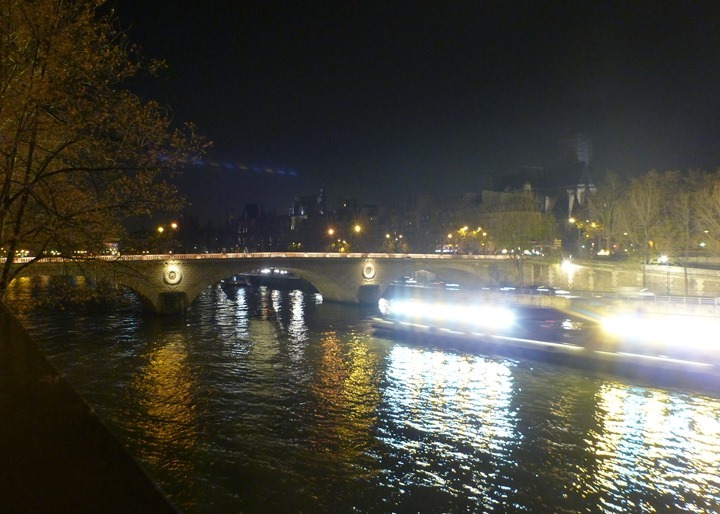 Below, a passing boat – complete with the lights illuminating the shoreline. And of course we had to stop for a second and take a picture in front of the giant rubber ducky. 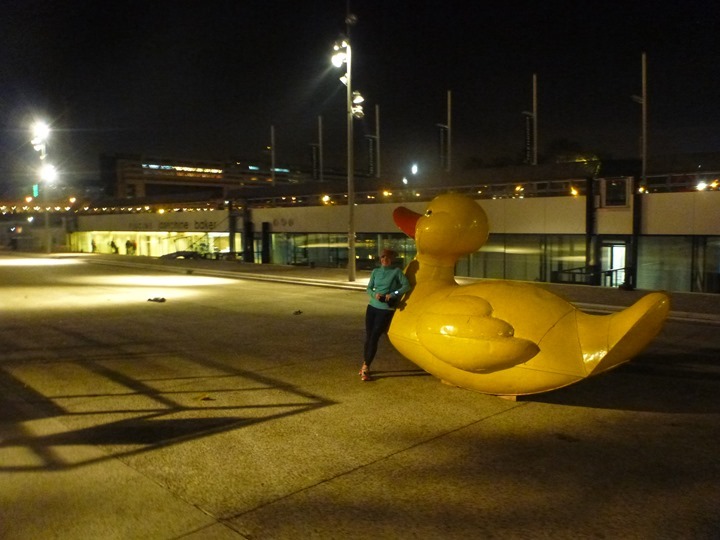 The rubber duck sits in front of the floating pool. Yes, a pool that floats. Indoors too. I’ve yet to make it inside, though, it’s on my list – especially given it’s relatively close to me. When we were done, we took a quick walk around our block to cool down. 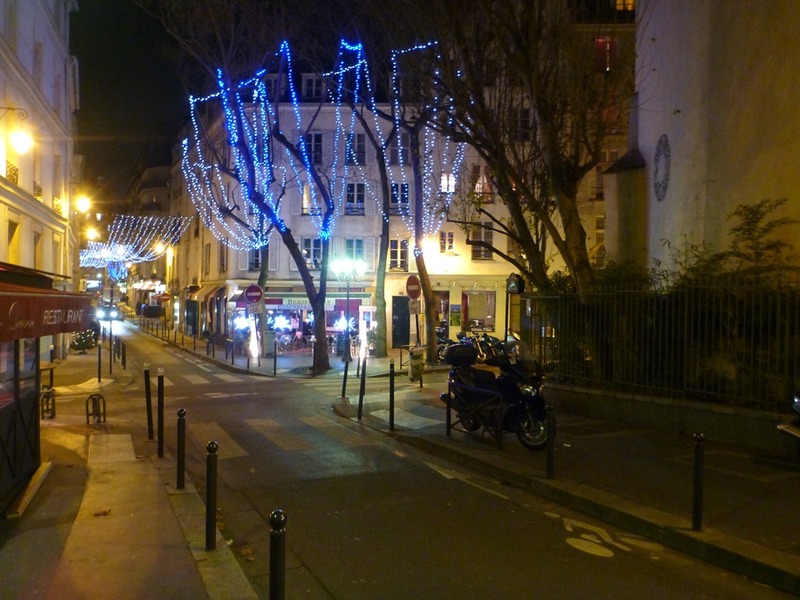 They’ve dressed up the street with lights going down it (to the left), and then the trees have also been lit up. Finally, we wrapped our post-run activities with some dinner with newfound friends from Newfoundland (home of The Girl). 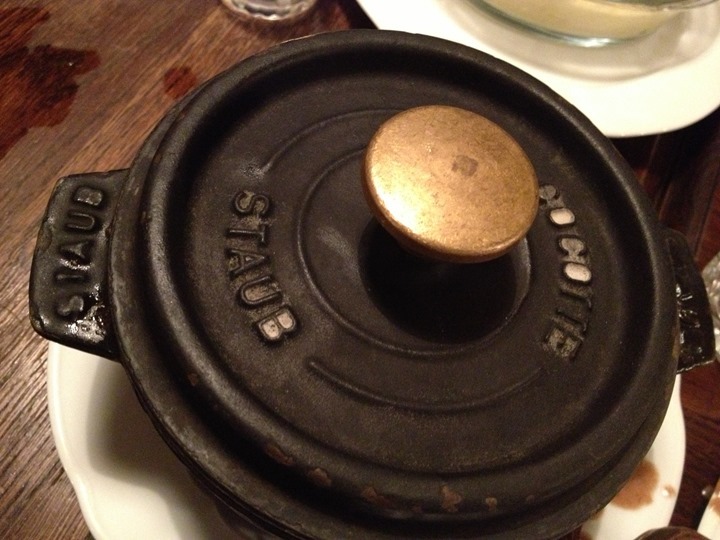 As for the food, I really do appreciate that many of the French dishes come in little pots. It makes it a bit of a surprise every time I order something. Well, that combined with the language piece. Sometimes the little words in between the big words I know totally changes the meaning of what I’m ordering. Thankfully, this came out roughly how I expected it to, and was great. Chicken with mushrooms and little bits of pasta all cooked together in my mini-pot. 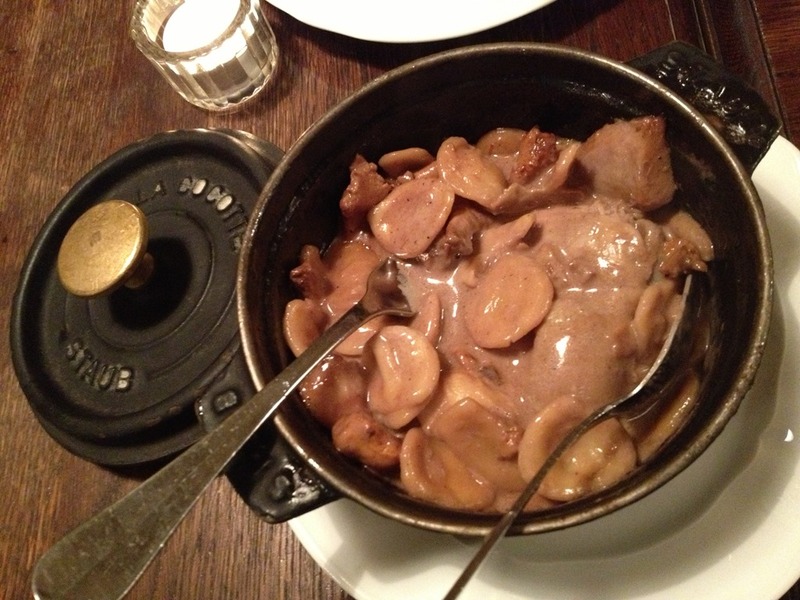 Lovin’ French food, and especially how much of it is so good. With that, hope everyone has a great week ahead! I do cycle, but I don’t own a carbon bike nor a triathlon bike. I’ve read about The Girl’s bike woes on your blog and hers, but I’m a visual person, I don’t get what exactly the problem is…basically I can’t grasp the concept on how the Aluminum is molded onto the carbon frame. Can you show photos? Has it been rectified by the newer Trek Concept 7.0 models? How does The Girl feel after being off the bike for 5 or so months? Good luck with your Trainer reviews! It’s gonna be a HUGE thing for your blog. Keep up the great work! Below is a photo of the bent part. Tiny, we’re talking 2mm here. It’s the point on the frame where the derailleur hanger attaches (not the hanger itself), and the rear wheel skewer goes through for the wheel to rest on. 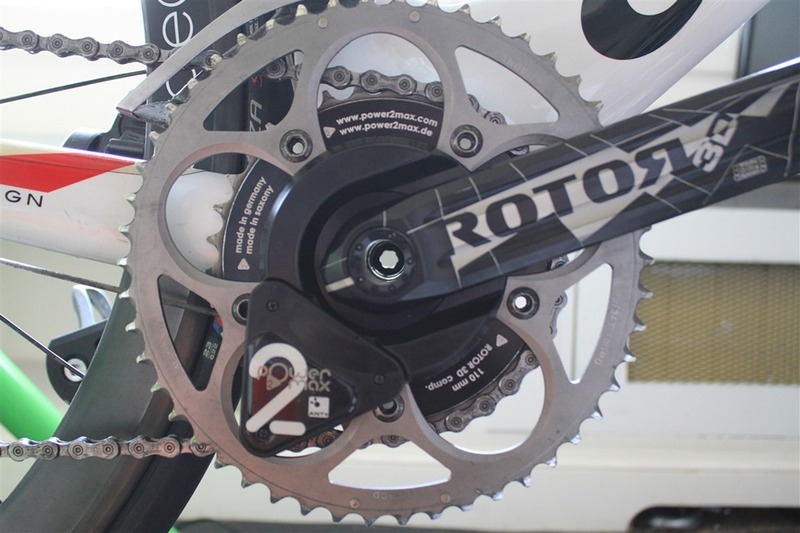 During transit it got bumped – because, per Trek bike shop recommendations, you should remove the derailleur and hanger (which is on the derailleur hanger). The challenge is that tiny little piece molded into the frame isn’t carbon, but wimpy aluminum. And it got bent in the bump. Now this isn’t just an isolated case, as there’s a thread on Slowtwitch with plenty of others in the same boat. In the end, we’re just happy to have a bike again to ride. As for being off the bike five months, she was a bit sore again after her first ride. She’ll be back in it quickly. Wow, I am stunned that the “fix” is replacement of the whole bike frame. I wonder what happens to the old frame, factory repair/refurb or scrap/recycle? Yeah, that tends to be the challenge with carbon frames – once something goes wrong, there’s very little one can do to fix it like aluminum. Looking forward to those “lots of trainer reviews”! Most carbon composite frames are quite repairable (it is a nice material that way), but manufacturers opt not to do repairs for liability reasons. It is easier for them to replace the frame and destroy the old one. I know the guys at Calfee, do quite a bit of repair, and a few others (Kirklee, brokencarbon.com) do repairs frequently. Whoops – replied to the wrong thread. What I want to know is what all the yellow sticky notes are for on the closet door! Finally a new bike for “the girl” good work on getting Trek to give you a new frame. How did you managed for them to send one out to France? I like your bike in the swimming pool there! Great post. Looking forward to the complete trainer review shootout. Just at note: normally “vice” is something like smoking, drinking, gambling, while “vise” is a tool for clamping stuff. 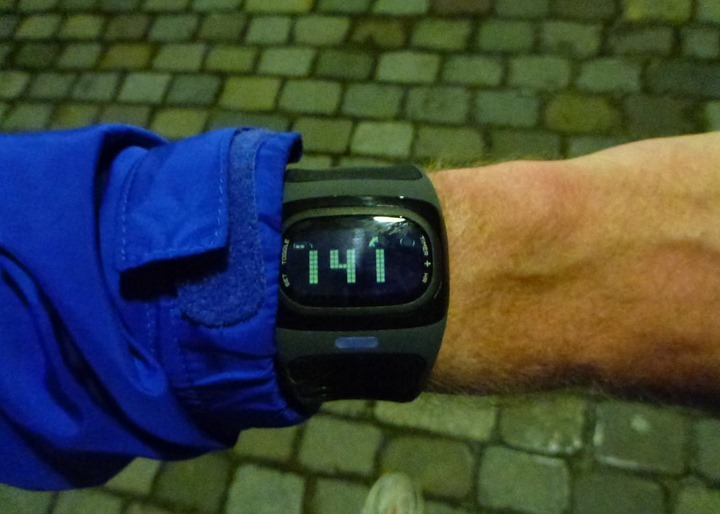 One other thing I’d be interested to find out as you review the Alpha HR watch – does it work while swimming by any chance? I understand that it won’t transmit to a head unit underwater because of the ANT+ or BT connection, but does it at least record? Ahh, good catch – corrected. As for Alpha, it doesn’t actually record. Thus no love on that front either. Now, I haven’t tried and re-validated that the BT connection doesn’t work underwater. But I’ll give it a shot next time I’m at the pool (perhaps even the rubber ducky one). 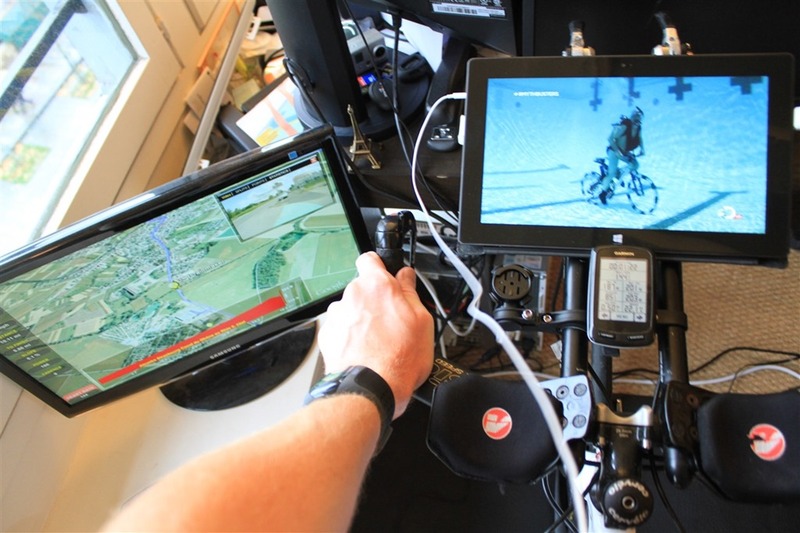 How did you mount your Garmin on the aerobars? self-creation or an off-the-shelf product? The Barfly one rocks, and I just heard from them yesterday they dropped the price down into the 20’s (can’t remember exactly how much). Thanks DCR! Finally a neat solution, thank you! When you write up your trainer review, can you include an update on the Wahoo Kickr release timeline? Gonna be purchasing in the new year and I’d like to buy the Kickr if available. Though, here’s what I’ve found: They’re all about the same. Seriously, all* within about 1-2db at most speeds (no, don’t try and convince me there’s a material difference in sound at 1db, I’ve heard all the flawed arguments with people trying to post links explaining there’s a drastic difference between 70.5db and 71.5db – there isn’t to the human ear). At any rate, what DOES matter is trainer tires – though, I haven’t done a comprehensive listing of them all. I have some initial videos I put together of decibel meters and trainers, but I’m going to reshoot them all again and get them published. 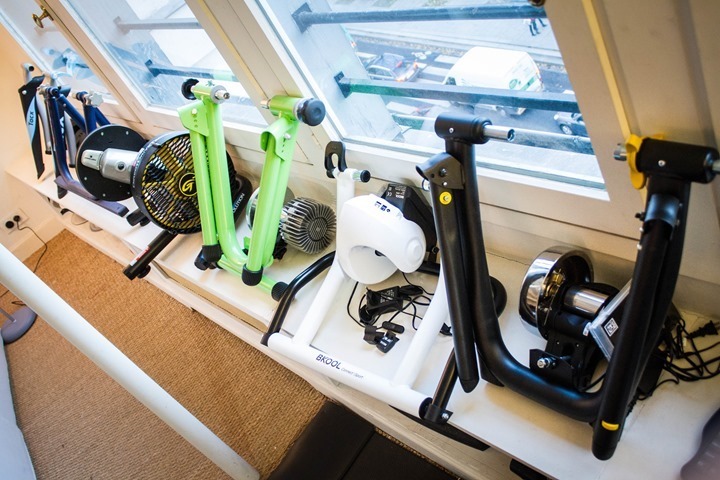 *Except the LeMond Revolution trainer, which was 30db higher at 100db – equal to that of a jet engine. Seriously. What do you think of the Surface? Hi DCR!! I`m going to Paris next week and I would like to buy a Tri Bike. 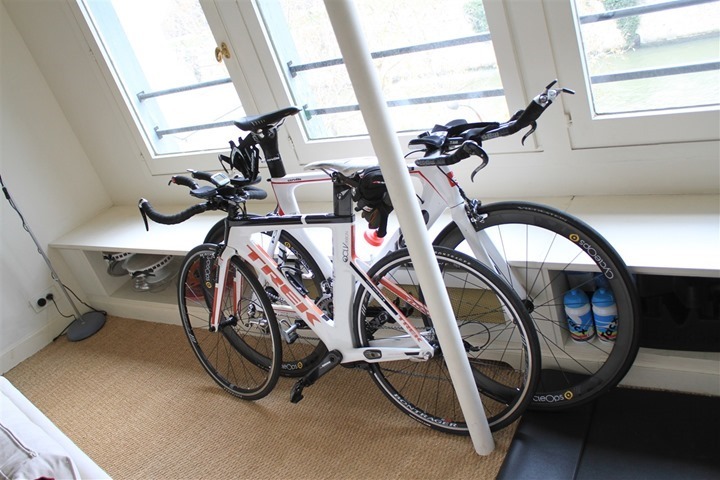 I can`t find on the internet specific Tri Bikes Shop. Can you give me some advice on which shop to go? Funny, when I first saw your question this morning, I actually had no idea. Turns out, my wife stumbled into a tri shop today that just opened here. Beyond this, there’s actually very few triathlon-focused stores here. Most of it is specialty order based. first of all nice blog and thank you for posting so many very good reviews and usefull tricks. Are you thinking to write also the review of Power2Max? I’m very interresting to buy it, but I didn’t find a good review on internet. Did Trek change the design of the frame to fix the issue? Based on looking at things, it hasn’t changed much for the better, though, perhaps there’s an internal change that would help. So far so good, but I still need some more outdoor time to validate the temp comp is working as expected.